“Grand Commander” has to be the highest-ranking name in the Jeep global lineup, at least until their rumored Renegade-derived Demigod crossover comes out. 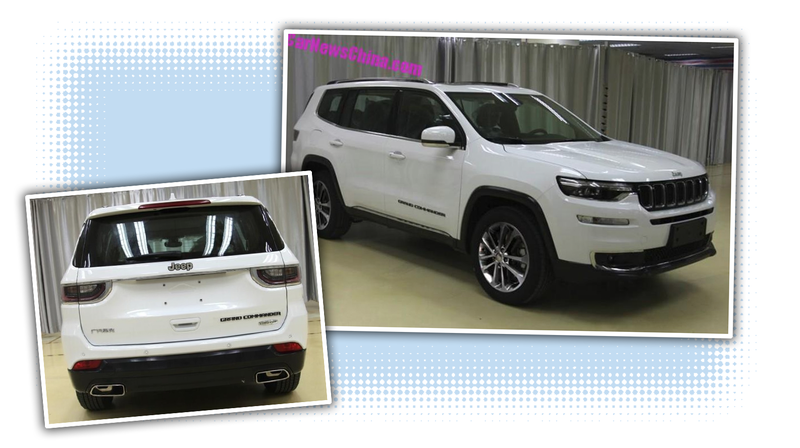 The 2018 Jeep Grand Commander is a China-only SUV with seating for seven, and will be formally revealed in April at the Beijing Auto Show. Our pals at Car News China got it first. The Grand Commander, which sounds like the title of someone who gets force-choked in a Star Wars extended universe comic, is based on last year’s Jeep Yuntu concept, which first teased the idea of a three-row Jeep. A three-row vehicle is still a hole in Jeep’s remarkably well-packed SUV/CUV lineup here in America, which makes it a bit surprising that the Grand Commander is just slated for China. Well, at least for now. Back in the dim, dark days of 2006-2010, there was a three-row Jeep, called the Commander, so one can think of this Grand Commander as that concept, promoted. I totally forgot about the Jeep Commander (XK) until now. The Grand Commander will share the new 2-liter turbo engine with the new Jeep Wrangler and will come in two power-flavors: 234 and 265 horsepower. If this ever did get to the U.S., I’d expect there would be options for the 285 horsepower 3.6-liter Pentastar V6, and, probably, a V8 option. You can cram at least seven people in there in rows of two, three, and two, and probably at least three or four more scrunched up in the cargo area. In China, the Grand Commander is expected to compete with Volkswagen’s Teramont (we know it as the Atlas), the Toyota Highlander, and other large, three-row SUVs. The price is expected to start at 250,000 yuan, which comes to about $38,000. There appears to be two trim levels, Latitude and Longitude Limited, with Car News China showing pictures that seem to indicate whether o not the side windows have chrome trim as a big indicator if you cheaped out or not. No mention was made of the Grand Commander or any three-row SUV at the Jeep presentation at the Detroit Auto Show; so if they’re planning to bring it here, they’re not ready to talk about it yet.